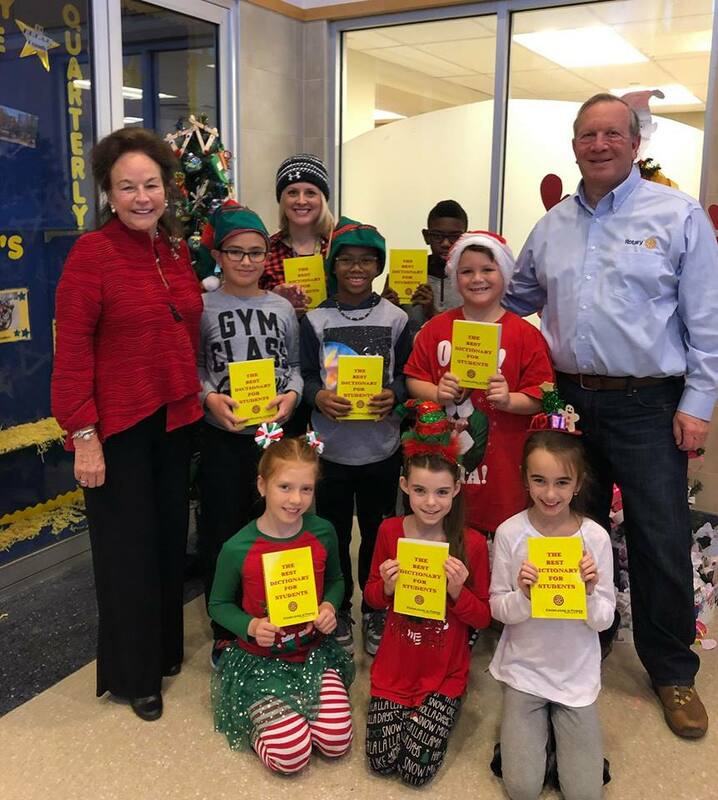 One of the projects of the Camden-Wyoming Rotary Club is to promote literacy by providing dictionaries to third graders for their personal use. 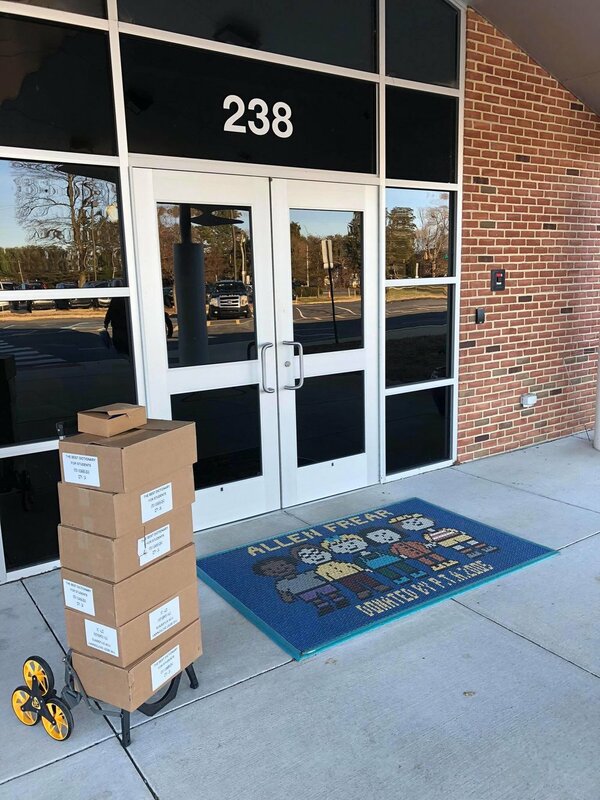 Club members visited all the third grade classes in the Caesar Rodney school district and gave dictionaries to the students. These pictures are from Allen Frear Elementary on 12/18/18. Club President Trish Rodriguez (left) and Club Member Ron Kahn (right) posing with 3rd graders and their new dictionaries.